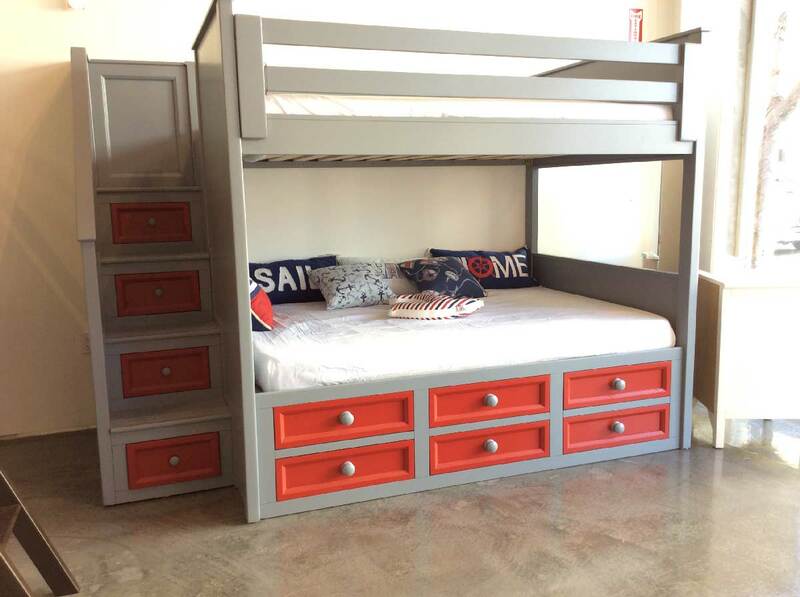 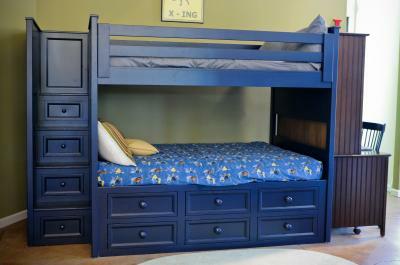 This american made solid wood full over full bunk bed with stairs is perfect for any age. This bunk bed can support up to 400lbs on each bed and will serve you for years to come. 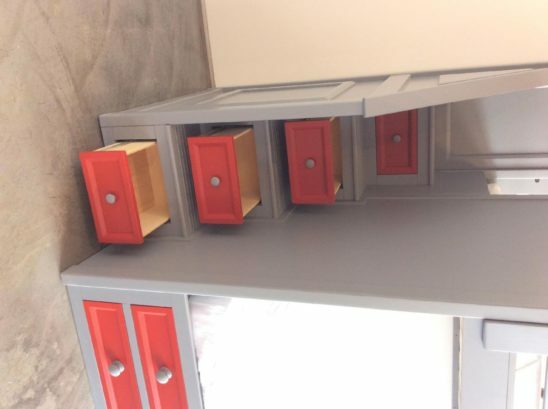 It is available in multiple sizes, configurations and finishes.